Mayor Rahm Emanuel and Chicago Department of Cultural Affairs and Special Events (DCASE) Commissioner Michelle Boone unveiled the Chicago Cultural Plan 2012, the first new plan for strengthening the city’s arts and cultural sector in more than 25 years. The Plan was developed after months of meetings with stakeholders and community members across the city and includes input from thousands of Chicagoans. The new Plan will serve as the central planning document for enhancing Chicago’s thriving arts and culture sector, supporting creativity, innovation and excellence in the arts. The final Plan and executive summary can be downloaded at www.chicagoculturalplan2012.org or www.cityofchicago.org/DCASE. 1. Reinvigorating arts education and creating new opportunities for lifelong learning. 2. Attracting and retaining artists and creative professionals. 3. Elevating and expanding neighborhood cultural assets. 4. Facilitating neighborhood planning of cultural activity. 5. Optimizing city policies and regulation that impact the arts and creative industries. 6. Strengthening capacity within the cultural sector. 7. Promoting culture’s value on Chicago’s economy and our way of life. 8. 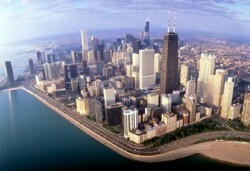 Strengthening Chicago as a global cultural destination. 9. Developing and sustaining innovation in culture. 10. Integrating culture into daily life – across public, nonprofit and private sectors. Many of the recommendations in the City’s Cultural Plan are ready now and will take little time to initiate at minimal cost. In fact, nearly one third of the plan’s initiatives have an estimated cost of less than $50,000 to implement.